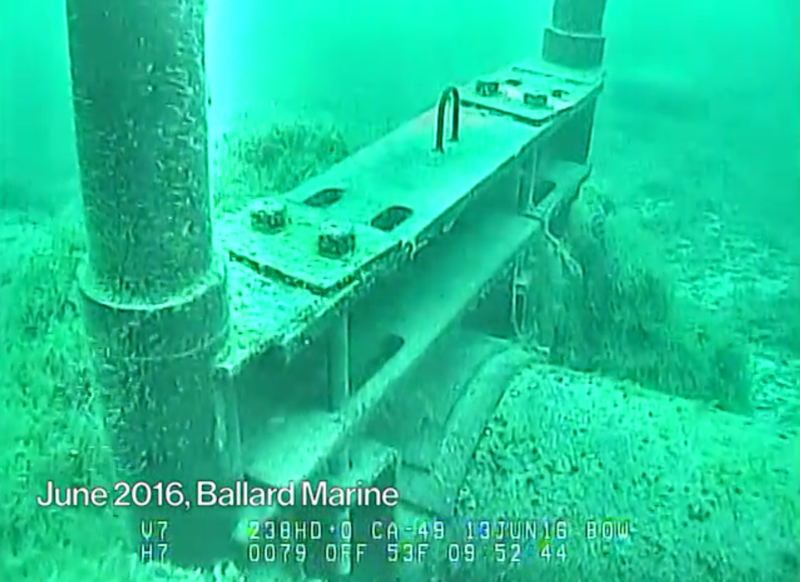 Governor Rick Snyder announced Wednesday that his administration has reached an agreement with Enbridge Energy to replace Line 5, the 65 year old twin pipelines that run under the Straits of Mackinac connecting Lake Huron and Lake Michigan. The agreement calls for a new pipeline that would run through a tunnel dug into bedrock below the lake bed. 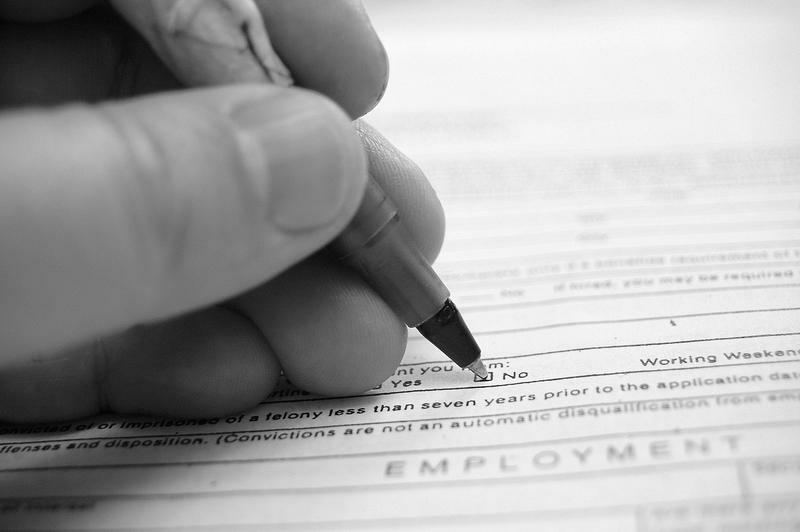 Governor Rick Snyder announced Friday the state will stop asking job applicants and people seeking certain occupational licenses to check a box if they have been convicted of a felony. He also will sign an executive order directing state departments and agencies to remove the felony question box from applications for state employment. He said the types of state licenses affected include those for plumbers, electricians, barbers and cosmetologists. Governor Rick Snyder is not endorsing a candidate for governor. Attorney General Bill Schuette won his party’s nomination after Tuesday’s primary. 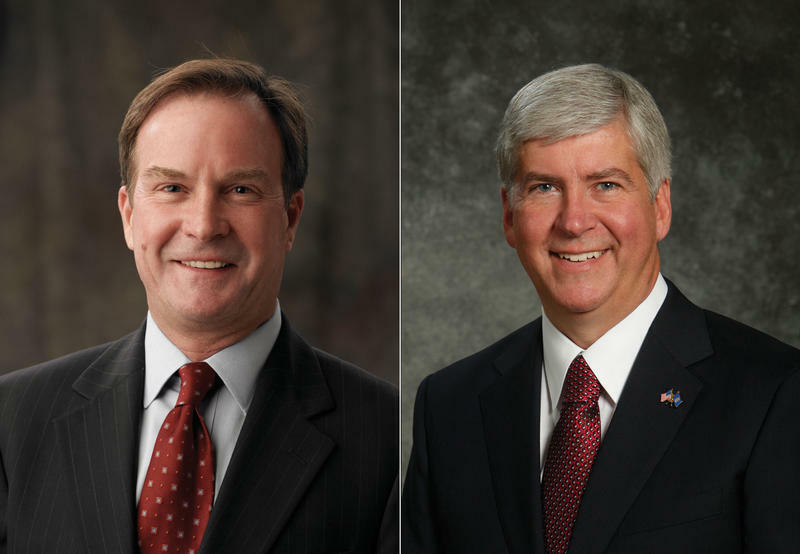 Schuette went up against Snyder’s own Lieutenant Governor, Brian Calley. Snyder and Schuette have had a fraught relationship. 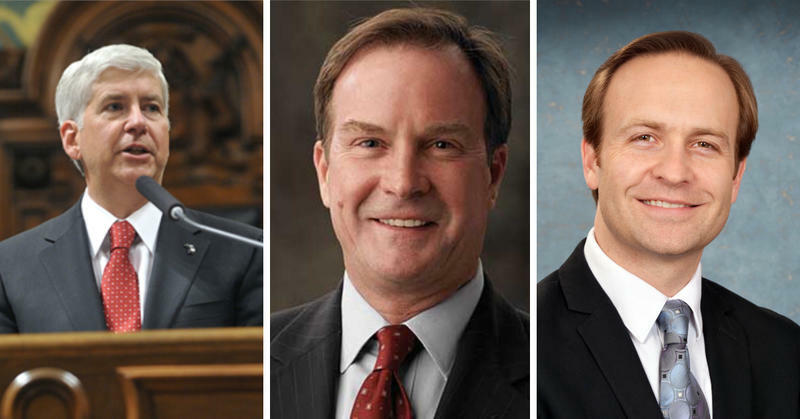 Schuette is currently prosecuting several people in Snyder’s administration over the Flint Water Crisis, and Snyder backed Calley during the primary. But now, Snyder says he’s just going to focus on being a governor. U.S. District Judge Judith Levy ruled Wednesday that a class action lawsuit in the Flint water crisis can move forward. But the judge dismissed Michigan Gov. Rick Snyder from the litigation. Governor Rick Snyder is calling a request for the FBI to investigate Michigan attorney general Bill Schuette "a serious matter." 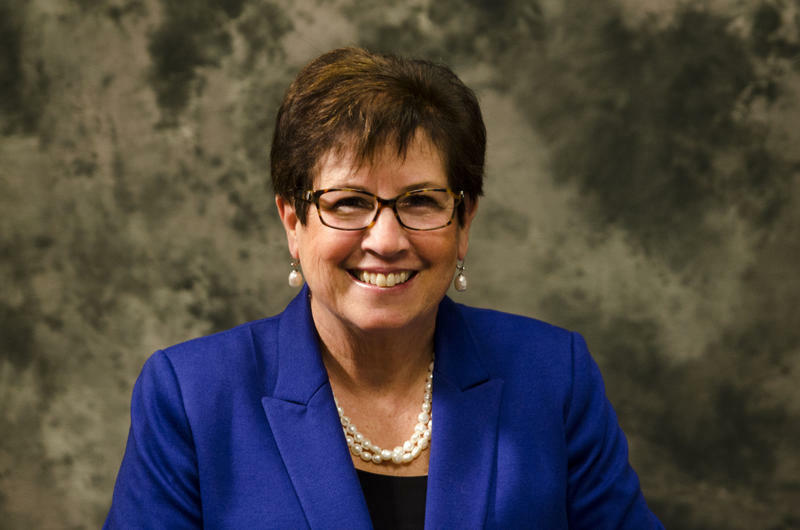 Stateside's conversation with Vicki Barnett, former Mayor of Farmington Hills and Democratic legislator, and Ken Sikkema, Senior Policy Fellow with Public Sector Consultants and the former Republican majority leader in the state Senate. 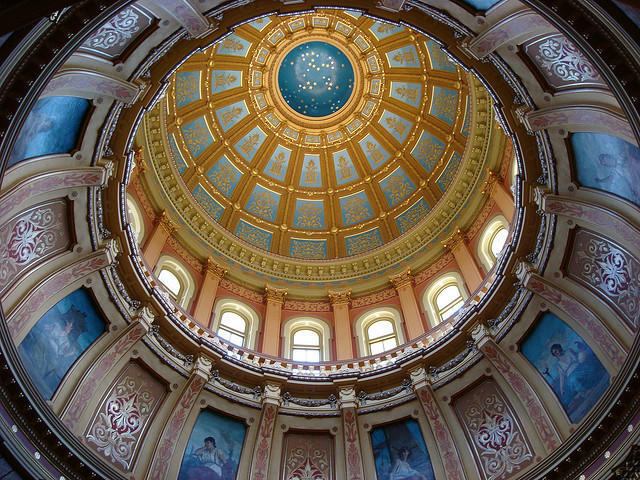 Recent blogs from the free-market think tank the Mackinac Center for Public Policy applauded Governor Snyder's $10 million cut to what it calls "the state’s corporate and industrial handout complex." Michigan has about 150 new laws. 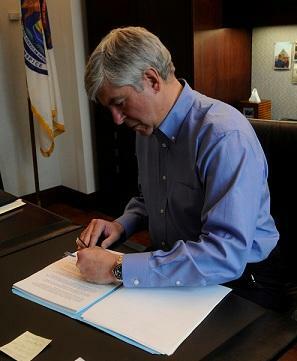 Governor Rick Snyder finished going through a pile of bills that were sent to him before the Legislature went on its summer break. The new laws range from getting rid of out-of-date laws to license plates. And several bills involve how to drive. Starting in September, drivers will have to give bicyclists at least three feet of space while passing. “This is really important to protect bicyclists and other vulnerable roadway users,” said Snyder spokeswoman, Tanya Baker. Gov. Rick Snyder signed the state’s general fund spending plan for fiscal year 2019 Thursday, and it includes a provision he says his administration won’t enforce. That measure would cut funding to Planned Parenthood. It requires county health departments to favor family planning clinics that don’t offer abortions. Snyder said that provision is unconstitutional because there is a separate law that says how family planning money is distributed. It's already illegal in Michigan for public money to be directly used for abortions. The Michigan Legislature has approved a new budget that cuts funding to Planned Parenthood. 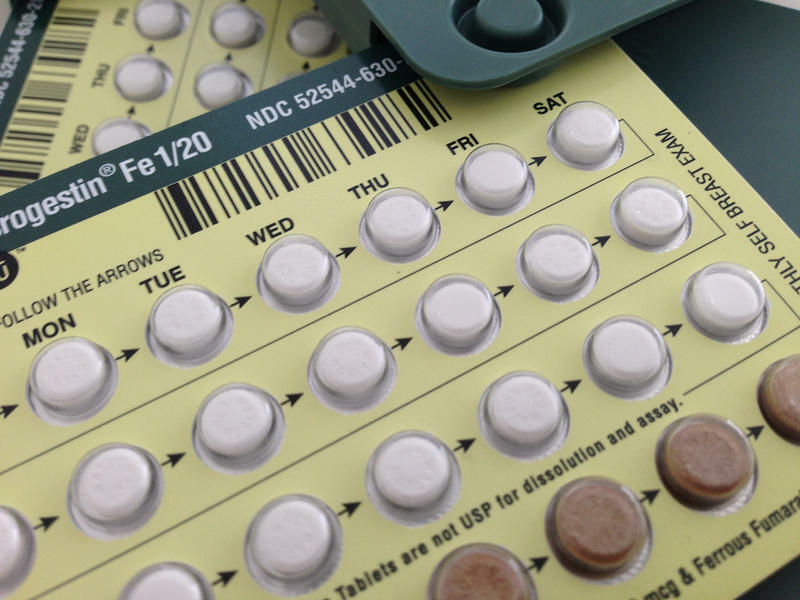 The new provision would stop money for family planning and reproductive services from going to any group that also performs abortions. This budget now heads to Governor Snyder’s desk for final approval. Lori Carpentier is president and CEO of Planned Parenthood Advocates of Michigan. She spoke with Stateside about implications of these potential cuts. Michigan Gov. Rick Snyder says he and a key lawmaker have conceptually agreed on a plan to impose work or training requirements for Medicaid recipients, but some details are still being worked out. The Republican governor told The Associated Press Thursday there's been a "meeting of the minds" and "we're in a pretty good place." He confirms previous comments from Sen. Mike Shirkey - the bill sponsor - that a proposed 29-hour work requirement would instead be 20 hours. Gov. 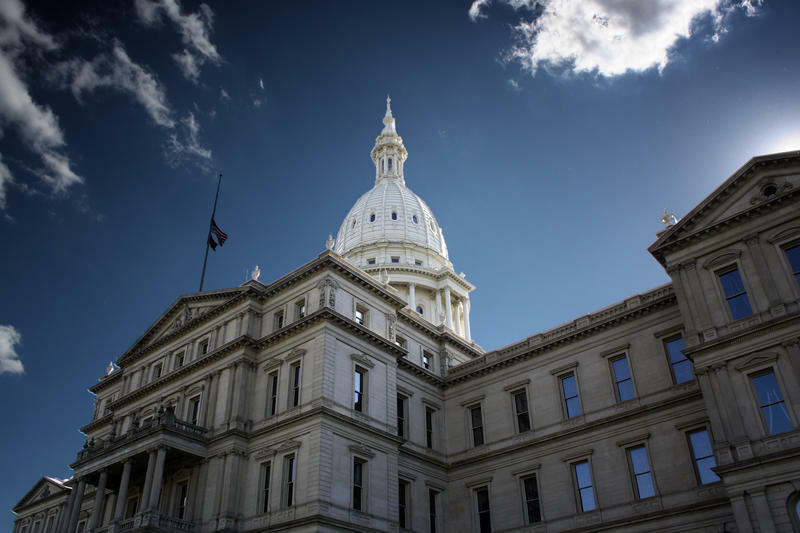 Rick Snyder's administration and key lawmakers have struck a budget deal that includes using a surplus to boost road spending, school-safety initiatives and savings. The agreement was reached Thursday. Now the leaders of individual legislative subcommittees will iron out details in coming weeks. State budget spokesman Kurt Weiss says the deal includes an increase of more than $400 million on infrastructure spending, an additional $115 million for the "rainy day" fund and $58 million to help schools improve their security and hire more counselors. Michigan Governor Rick Snyder and First Lady Sue Snyder announced Friday plans for a new 24-hour statewide hotline for sexual assault survivors to call for help, counseling, and resources. Republican gubernatorial candidates wanted to get next to President Donald Trump this weekend but only one got the presidential shout-out in Washington Township, MI. 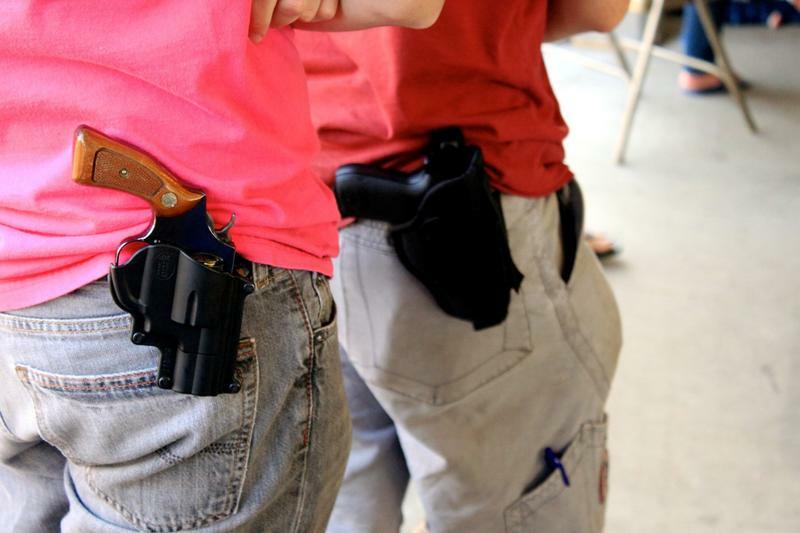 Can the governor’s school safety plan work without mentioning guns? Stateside's conversation with Emily Durbin, the volunteer chapter leader of the Michigan Chapter of Moms Demand Action for Gun Sense in America. Governor Snyder released a plan yesterday to improve safety in Michigan schools following the Parkland, Florida school shooting. His $20 million plan calls for boosting security at hundreds of schools, setting up a task force to come up with more ways to improve school security between now and the end of the year, more training for school administrators and school resource officers, and expanding the OK2SAY tip line. The governor says he intentionally stayed away from guns. Governor Rick Snyder released a plan Monday to improve school safety following the Parkland, Florida shootings. The plan calls for boosting security at hundreds of schools, and expanding an anti-bullying tip line. 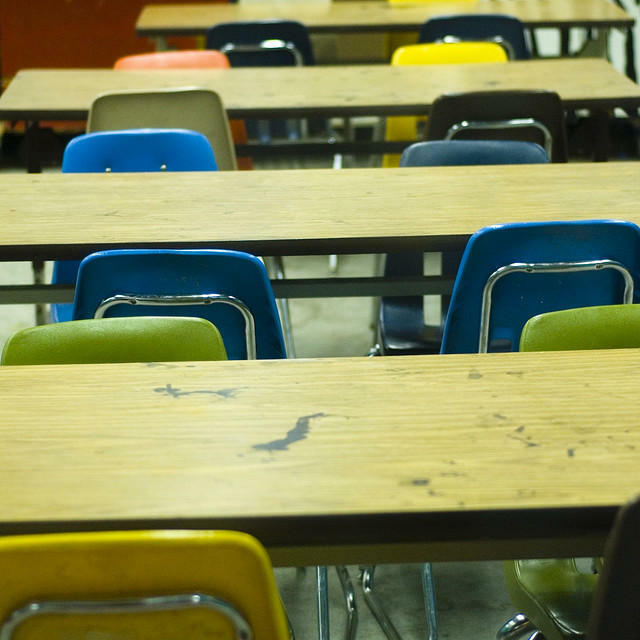 A task force would also come up with more ways to improve school safety between now and the end of the year, when Governor Snyder steps down. Snyder says these are things he believes could result in a consensus in Lansing. The proposal also includes more active-shooter training for law enforcement, but does not include any plans directly related to guns. Flint’s mayor is talking about “legal options” after an unsuccessful meeting with Governor Snyder about restarting bottled water distribution. Two state lawmakers are asking Michigan’s attorney general to intervene in the decision to end bottled water distribution in Flint. After several hectic days, the state has permanently closed four water distribution centers in Flint. Demand for bottled water soared after Gov. 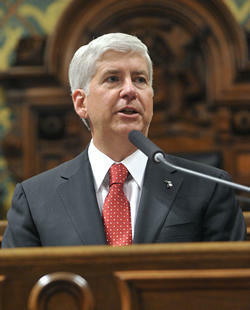 Snyder announced last Friday that the state program was ending. The last of case of bottled water was handed out late today. It’s been another day of long lines at water distribution centers in Flint. Cars and trucks started lining up after Governor Snyder announced last week that the state will stop providing city residents with free bottled water. The state started handing out cases of water to city residents two years ago after tests showed elevated levels of lead in Flint’s tap water. The governor insists tests show Flint’s drinking water is now well within state and federal standards. The Snyder administration is ending state supported bottled water distribution in Flint. The government started distributing bottled water to Flint residents after tests revealed extremely high levels of lead in the city’s drinking water. In the years since Flint’s water crisis began, thousands of city residents have made a trip to one of the government sponsored water distribution centers to pick up a free case or two of bottled water a regular chore. After more than six years of state oversight, the city of Flint is finally emerging from receivership. Flint Mayor Karen Weaver could hardly contain her feelings about the end of state oversight of her city. “I’m excited. I’m glad they’re gone,” Weaver told reporters after the news broke this afternoon. The city of Flint is the last Michigan municipality to be under state financial oversight through a Receivership Transition Advisory Board. Michiganders hard hit by heavy flooding in February are getting some help. Gov. Snyder declared a state of disaster for 17 counties and two cities after heavy rainfall and snowmelt resulted in widespread flooding damage. 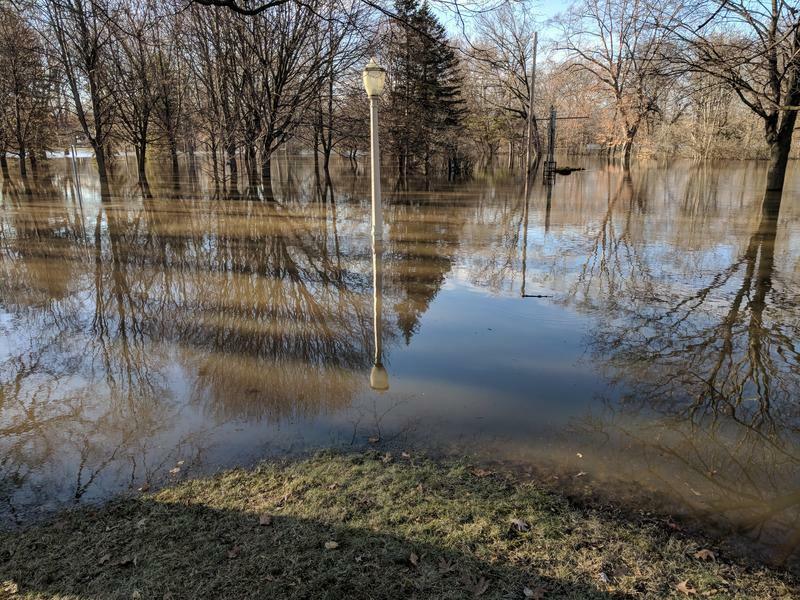 The U.S. Small Business Administration has approved the state’s request for a physical and economic disaster declaration for four Michigan counties. A federal judge has thrown out a lawsuit that challenged Governor Snyder’s plans to hold a special election to fill ex-Congressman John Conyers’ vacant seat. The special election to fill the seat left open by Conyers will take place as planned by Governor Rick Snyder, meaning the 13th District will be without a congressional representative for 11 months. Soon after Conyers stepped down in December, Snyder announced plans to hold special elections to replace him on the same days as regularly-scheduled primary and general elections in 2018.